Sebastian Vettel has warned that Red Bull's most impressive day of testing so far masks the fact the team is still working on a range of problems. Vettel recorded 59 laps on Thursday, more than the team has managed for the whole pre-season so far. The day marks a reason for optimisim for Red Bull but Vettel admits he is not getting carried away, though he is pleased with the mileage recorded. 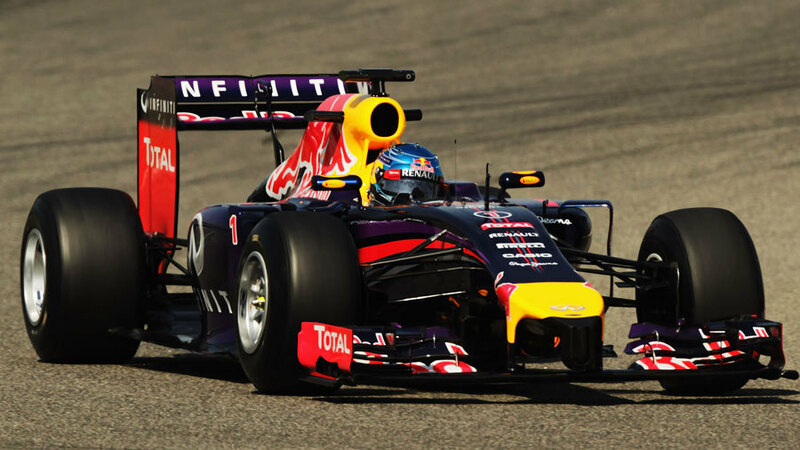 "We did more laps today which is encouraging," Vettel said. "It's good to check the car and check the reliability. It's good to get a good first feel but surely there is a lot more to come, hopefully if everything fits together. We are still struggling with braking a bit and still have some work to do. I think we understood the problem a bit better but it is not easy to find an immediate fix. That's why today was important to run even if it wasn't the quickest. "Everyone wants to do better but it is a bit difficult at this stage. We know the problems, we are trying to understand all of them so that we can fix them. There's no reason not to have faith. F1 has changed a lot, everyone can see that with only a couple of days of running. There are a lot of problems to cure, but you need to understand before you think of solving them." Vettel now hands the reigns over to new team-mate Daniel Ricciardo after two days in Bahrain, and admits the Australian will be in a good position to get more out of the RB10. "We are learning every single lap even if the quality of the lap is not the best we want to do as many as possible. To be honest the last two days will be very useful with Daniel, there's a lot more to do with programming to make sure everything is communicating properly in the whole power unit. "It's difficult to say about catching up because we don't know what other teams are doing."